One app, with every event that matters. Markets to music, comedy to cricket, drama to darts and trivia to theatre; it's the one place to explore, book, find and understand what events are happening near you. We know there's always something on, so we just made finding those events easier. Using vibrant poster art, the app makes it easy to quickly discover what's on nearby. 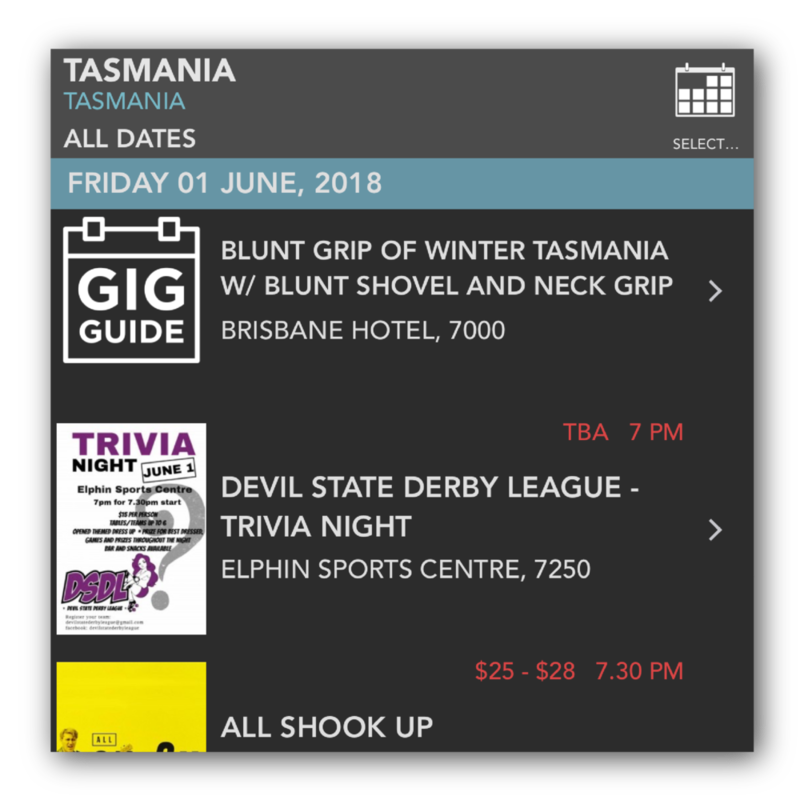 Search is simple, and you can easily narrow the list to what's nearby, what's on at your favourite venue, or even see everything that's happening statewide; it's discovery made simple. 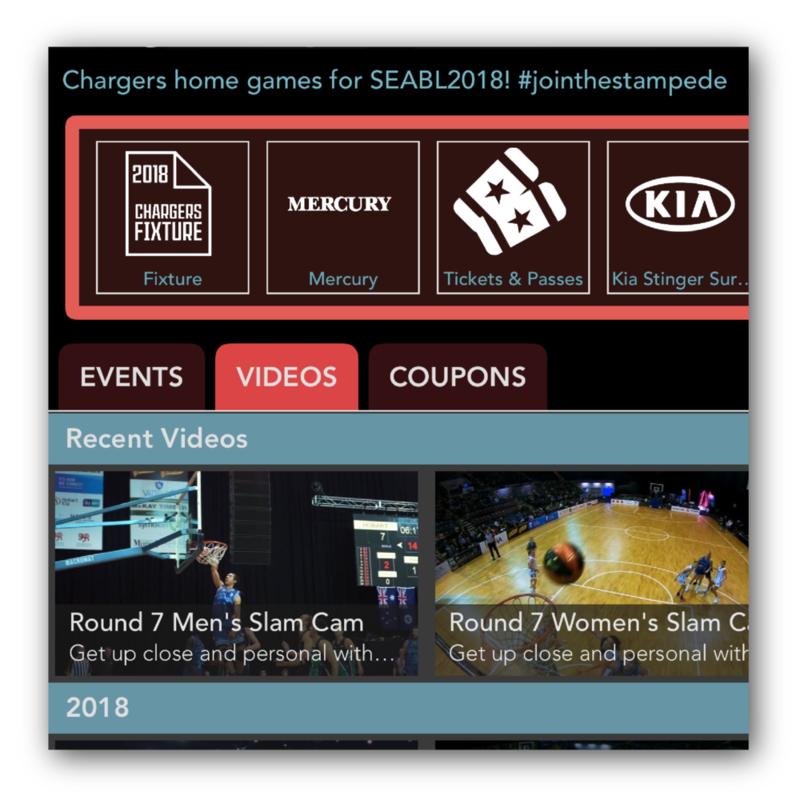 With the biggest events featured in the app as dedicated sections, the app is a hub for everything you need. From exclusive video, discounts, links and news, we make it easy to stay connected. There's even competitions built-in, that you can enter with just a tap. With the 'Gig Guide' you can see a list of every event -big and small- happening nearby. 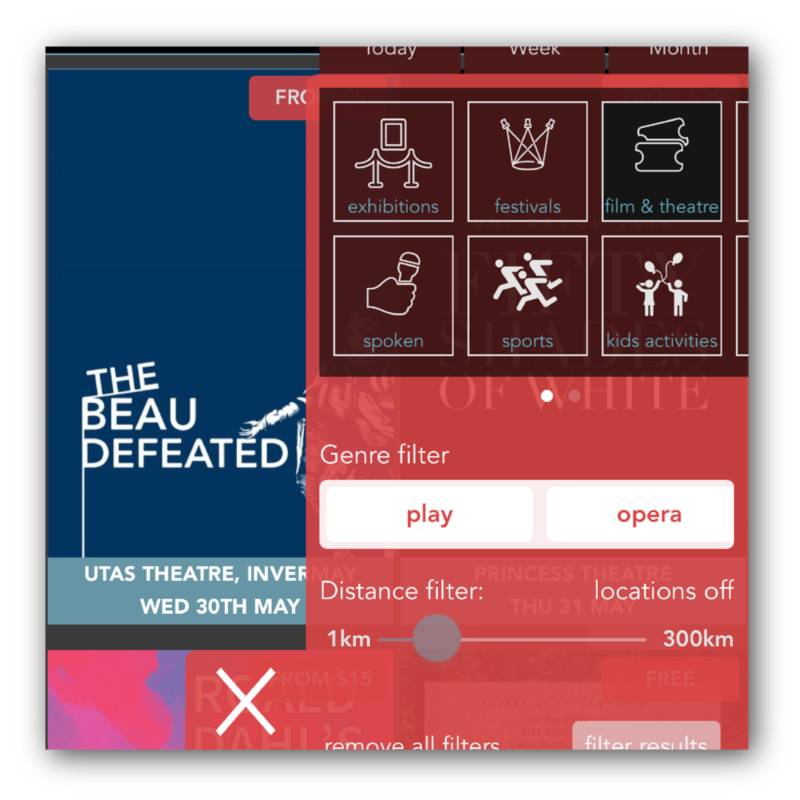 From live music to trivia, it's a dedicated discovery interface which exposes some of the coolest niche events in a clear and simple way. Sorted by date, it's the fastest way to get busy. 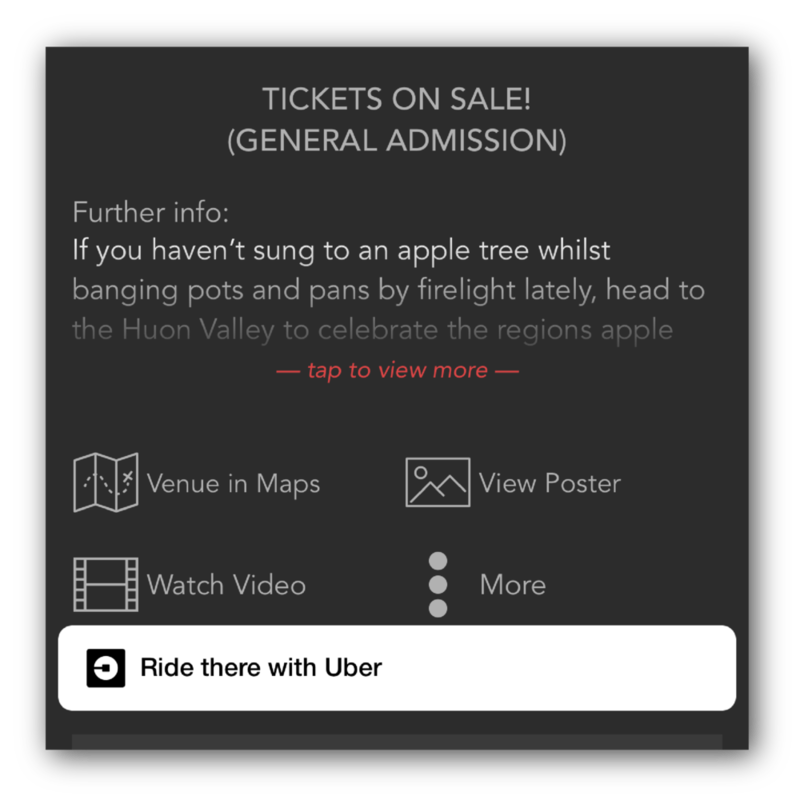 Each poster listed in the app has a summary, details on price and ticketing, and the ability to share and save favourites. Better, you can get directions, watch the trailer or promo film, visit their website or even book an UBER. Versus a paper booklet, the app has everything. To make it easy to see what's happening in a place on a date, we built a calendar into the gig-guide. Days with events are highlighted, and you can quickly select a couple of dates (say, a weekend) to find and book tickets. It's now dead-easy to fill up a lazy weekend. Adding a helping hand to discovering what's on, the filter drawer helps you see only your favourites, without all the noise. Live in a big city with heaps going on? Narrow the search radius to find out the cool stuff happening around the corner from your apartment.